Average expenditures for those [who] visited were $230.16 with half spent on food and lodging. Visiting historic/interpretive sites, shopping and visiting wineries all scored higher than 41% as activities also enjoyed while visiting the trail. More than 50% of our inquiries came from out of state, with the largest numbers coming from Illinois, Kansas and Iowa. Indiana, Oklahoma and Ohio also generated significant percentages of inquiries. 51% of our those who actually visited were from Missouri with the majority living in St. Louis and Kansas City. 49% of our visitors were from out of state, with the surrounding states of Kansas and Illinois accounting for more than 21%. 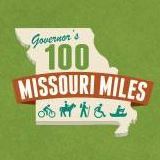 More than 40% of the trail users visited Hermann, Boonville and Sedalia. More than 61% visited Rocheport which is considered the halfway point of the central corridor. 36% visited Columbia and Jefferson City. « Previous story: Kansas City's streets discovered to be bumpy . . .